Every year in New York City one of the first signs of the holidays is a TV Commercial and Bus billboards for the Radio City Music Hall “Christmas Spectacular“. There’s no better way to get into the holiday spirit! 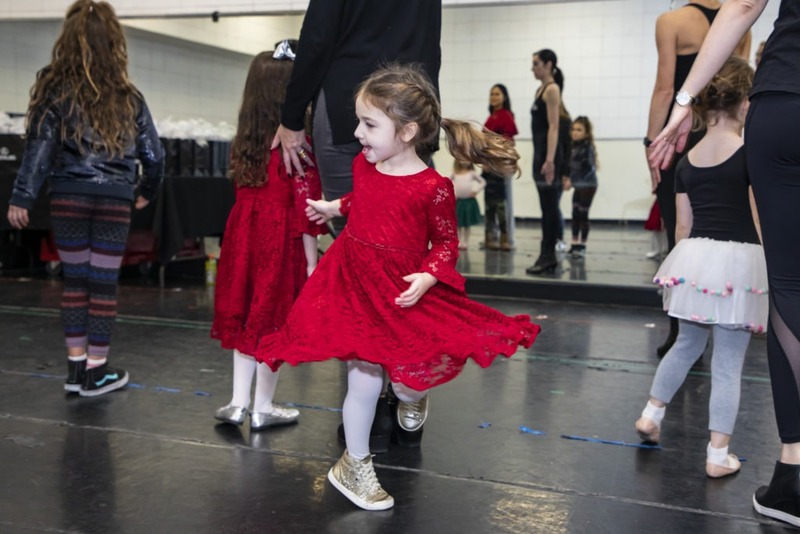 People young and old pour into the festive looking Radio City multiple times a day to catch the show. Of course everyone knows The world famous “Rockettes” are the true stars and every time I see the show, I’m more and more impressed. 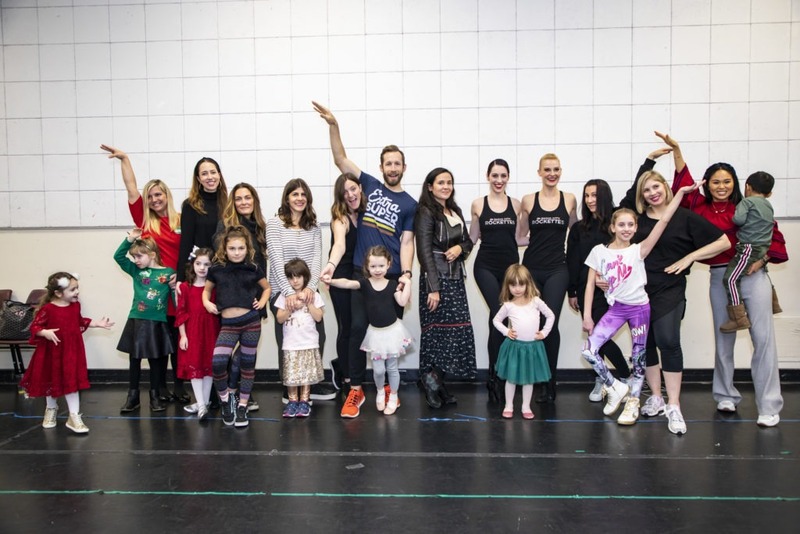 November 19, 2018: The Radio City Rockettes teach a dance class to Lexus reps at Radio City Music Hall in New York City. 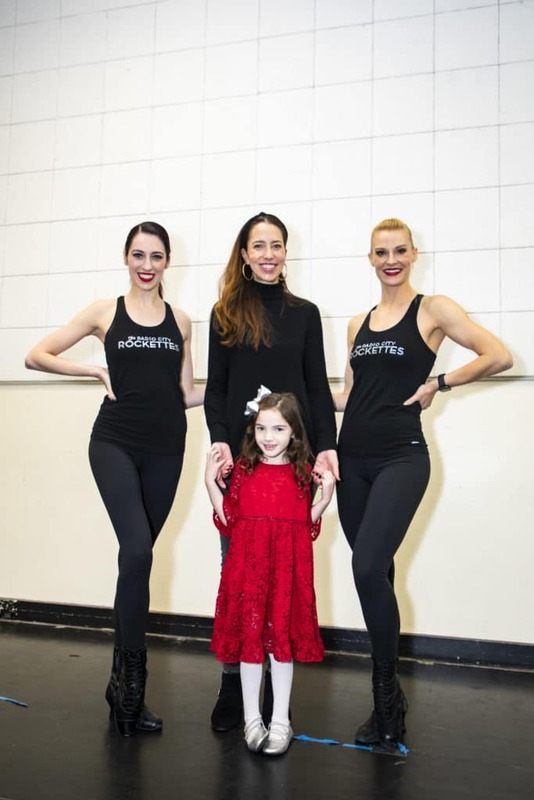 Last week my daughters and I had a very special invitation to attend a Rockettes 101 Dance class in their very own rehearsal hall. 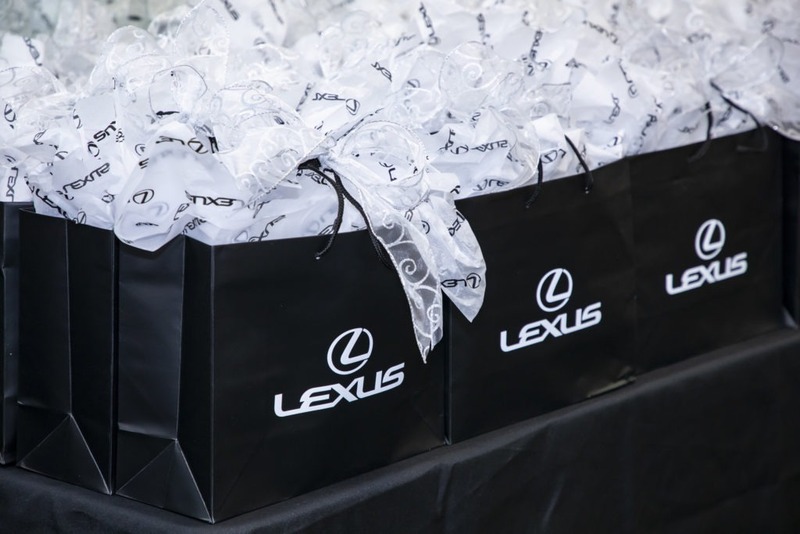 We were hosted by “Lexus” which is the official luxury vehicle of the iconic venue. This hour- long class was truly a dream for me and my girls! 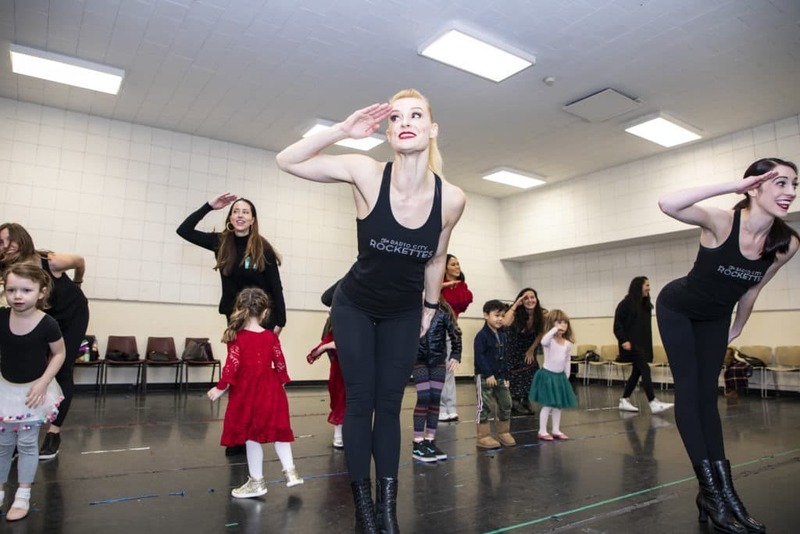 Two amazing Radio City “Rockettes” taught this once-in-a-lifetime beginner class and included choreography from the infamous Christmas Spectacular. I’ve actually had some experience in chorus style dancing. I was in a Drill Team growing up and spent my days practicing precision with my teammates in the Texas heat. 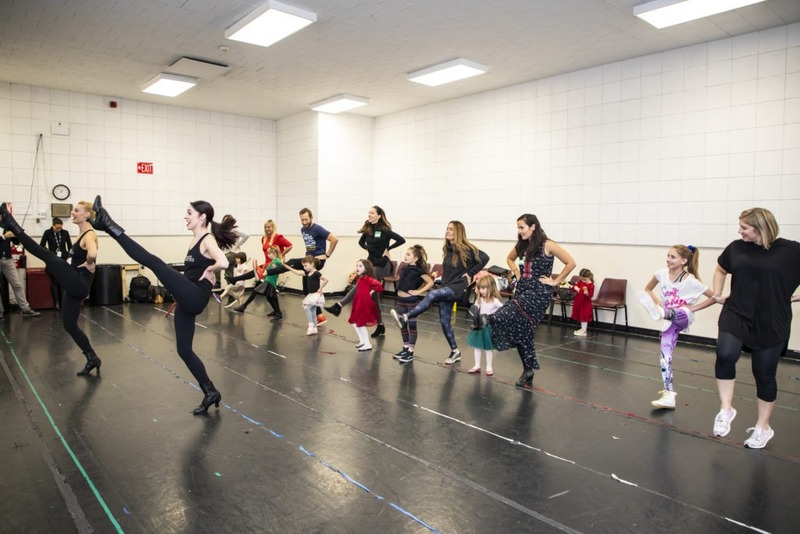 It’s the one style of dancing that requires everyone to know every step, high kick, and count for the performance. I loved every minute and of course always thought of the Radio City Rockettes as the “ultimate” dream. Once we practiced some steps, music was added to our routine. I’ll be honest when I tell you I totally had CHILLS! What an incredible experience to learn parts of the classic “Parade of the Wooden Soldiers” . Did you know this is one of the only iconic numbers that has remained nearly unchanged since it were first performed on the Great Stage in 1933? The other one is the Living Nativity scene. We kept adding on to our routine and practiced over and over. 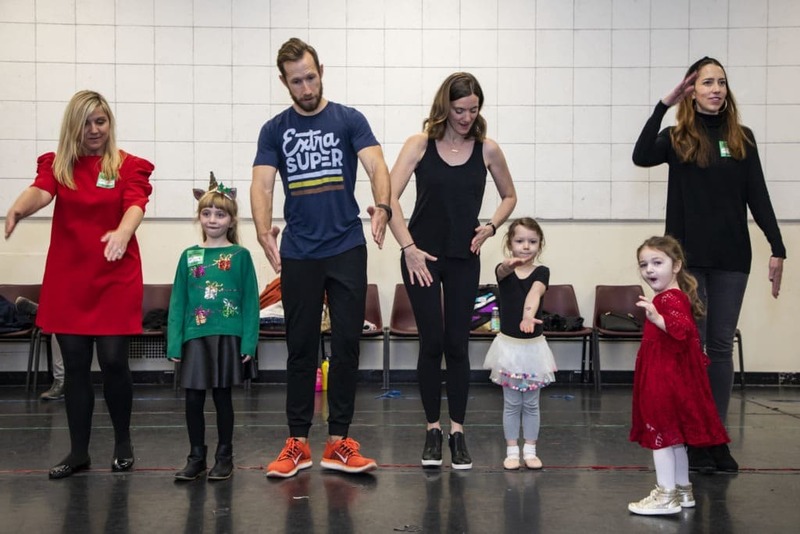 I’m sure this is only a small preview of all the hard work that goes into being a Rockette. My favorite part was the high kick section and it was so much fun kicking alongside these ladies. Although I can no longer kick my nose, it was still a blast! After we finished performing we all sat down for a Q & A with The Rockettes. They were so open and honest and we all learned so many things that came as a surprise. For instance, did you know that The Rockettes have to try out every year? There are ladies that have been in the company for years but they can’t get too comfortable and must maintain their dancing. There are so many interesting fun facts as you would imagine behind the rich history of the Christmas Spectacular and The Rockettes. 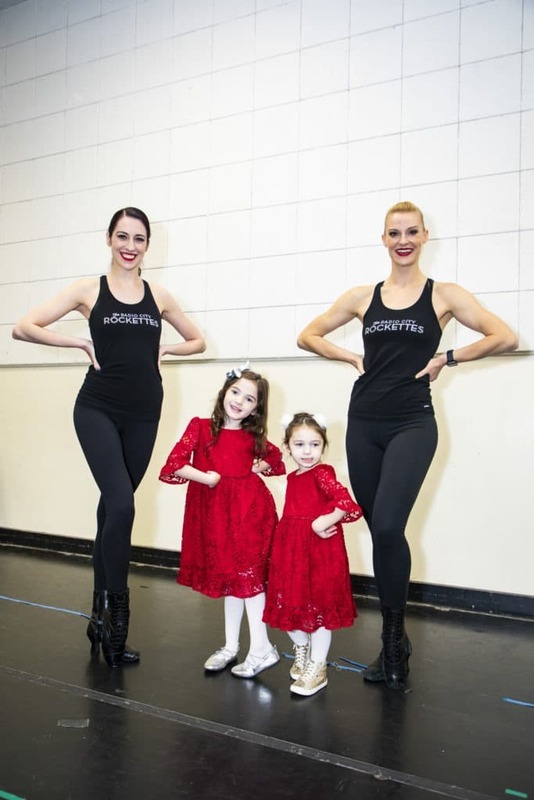 The Rockettes were once called the “Missouri Rockets”. It wasn’t until much later that they officially became The Radio City Hall “Rockettes”. Also, the original Christmas Spectacular was only 30 minutes. Now guests can enjoy a 90 minute show and on very busy weekend days there are up to 6 shows a day! I know this because I got a flier in the mail yesterday! However, there is a morning and afternoon cast. There are 80 total Rockettes but only 40 per each performance. 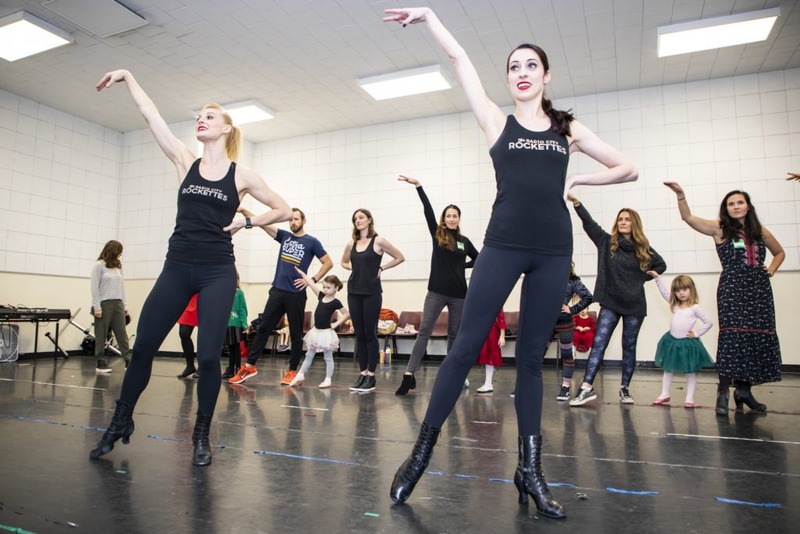 36 Rockettes are on stage at a time and each cast has four “swings” who can fill in the spots for nine of the women on the line. I’ve always been impressed by their sleek uniform appearance and was super surprised to learn The Rockettes do their OWN hair and make-up. They wear MAC Russian Red or MAC Red, both of which are a blue -red and look best under the lights. They also wear false eye lashes and a french twist in their hair. It is truly amazing that over 75 million people have seen The Christmas Spectacular since the New York holiday tradition officially began in 1933. 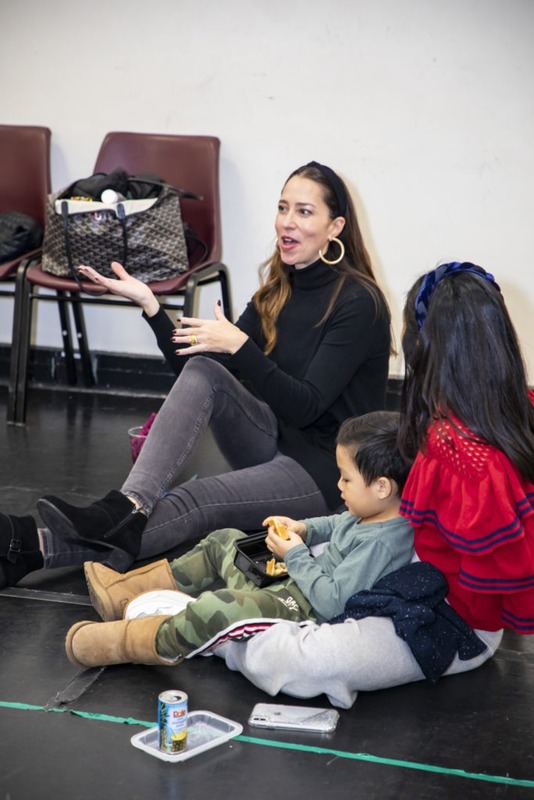 I’ve tried to take my kids each year and always love this true NYC experience! After our dance class we were lucky enough to attend an afternoon performance of The Christmas Spectacular. We bought our popcorn and goodies and enjoyed the show. 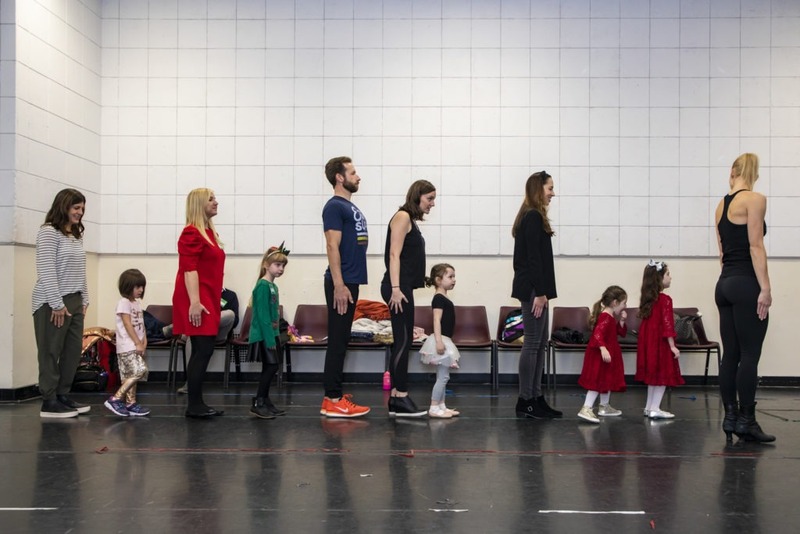 We noticed our dance moves on stage and even saw our very own Rockette instructor on stage. The show this year is better than it’s ever been and we enjoyed every second! 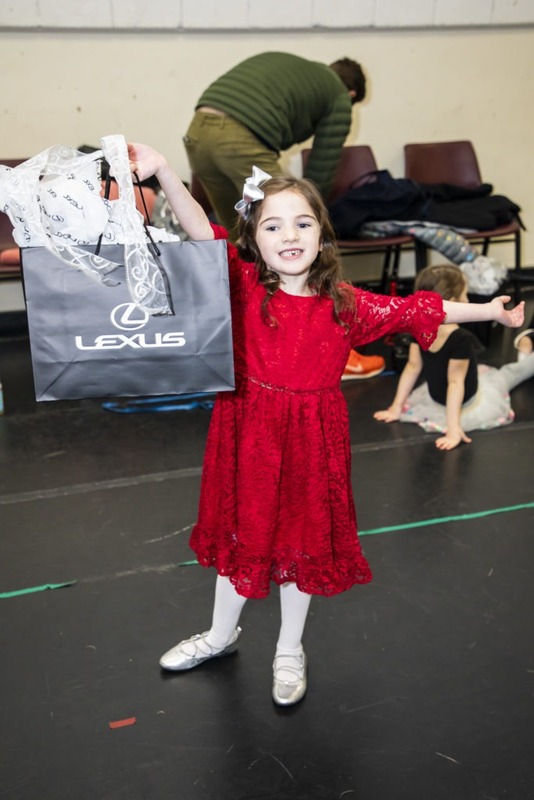 Thank you so much to Lexus and the Radio City Rockettes for this once- in- a -lifetime experience! Baby Magic is BACK…. and Better than Ever! Ski Utah with your 5th or 6th Grader: Now’s The Time!